The Best Restoring Serums and Boosters To Try For Spring — Bye, Bye, Winter! Winter has dried me out. And I’m not just talking spiritually. All this dry air here in the great Northeast really makes for dull and lifeless skin tone. Not acceptable! First, it doesn’t look good. Second, it’s easy to fix so there is no reason for not looking good, right? The secret is restoring serums and booster treatments. Serums and boosters help to enhance your skins’ barrier repair functions, increasing moisturization within the surface of the skin (this means improving the skin’s water balance which has been disrupted) and minimizing the appearance of tired dull and dehydrated skin. Or, in short, it means serums and boosters will restore your skin’s health. Simple! And best of all, with just a few seconds and the right serums and boosters, your skin will look years younger. There are plenty of boosters and serums on the market these days to try. Believe me, I will probably try them all! But that takes time. So, in the meantime, here are seven of the most soul charming (or skin charming) I have found so far. Please feel free to share your own finds, I’m sure there are plenty more to try. This lightweight, silky-smooth serum helps to maintain healthy, youthful-looking skin and correct the visible signs of aging by delivering a new and improved blend of ingredients your skin needs to target skin barrier repair, moisturization, and Anti-Aging. The serum supports natural collagen growth and increases moisture to create a well-balanced complexion. It is formulated with hydrating Tsubaki Oil and the brand’s signature ‘Botanical Complex’, this treatment improves elasticity while reducing the appearance of fine lines. Advanced Night Repair is really an outstanding serum that dramatically reduces the look of all key signs of aging. Being a cult serum for years it reveal a smoother, more luminous and younger look. This repair serum maximizes the power of skin’s natural nighttime renewal with their ChronoluxCB technology. It improves the appearance of fine lines and wrinkles, hydrates skin, and creates an even-toned, healthier-looking, and refreshed complexion. This light-weight booster includes an impressive mix of ingredients to moisturize, soothe and provide anti-aging benefit. It restores suppleness and comfort to parched, aging skin without leaving a greasy residue. Hyaluronic acid and watermelon extract deliver time-released moisture deep into the skin to reduce fine lines and promote a radiant complexion. Copper and zinc PCA boost collagen production as lactic and glycolic acids smooth and refine skin’s texture. 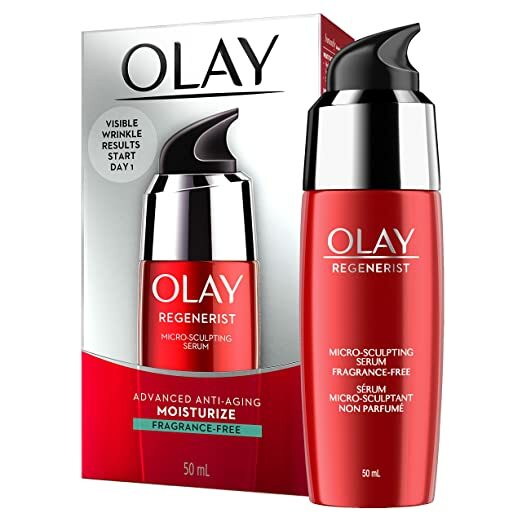 Olay Regenerist Micro-Sculpting Serum is an excellent choice to hydrate, improve elasticity and firm skin for a lifted look. Supercharged with skin-plumping Amino-Peptide Complex II, this lightweight firming serum visibly smoothes and diminishes the look of wrinkles. It also works well under makeup or paired with moisturizer. Perfect when your complexion feels tight and parched, Avène’s ‘Hydrance Optimale’ serum is highly concentrated with the brand’s Thermal Spring Water to trap water deep in the epidermis. This glycerin-enriched lightweight formula soothes dehydrated skin, calms inflammation and reduces the appearance of fine lines and wrinkles. Apart from that it heightens the potency of any other products you apply afterwards. This powerful serum reveals youthful radiance and smoother skin, and supposedly in just 7 days. For me, it took 8, but who’s counting. 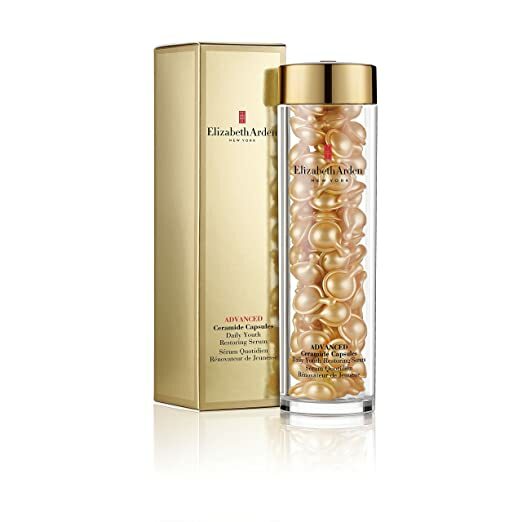 It boosts radiance, restores smoother, more radiant skin. This serum has added biotechnology-derived ingredient which act on 10 key signs of youth including skin texture, resiliency, elasticity, firmness, sagginess, fine lines, wrinkles, radiance, clarity, and skin tone. It’s the first step to every beauty routine, for every age, every skin type, and multiple ethnicities. And believe me, it works. This potent serum and moisturizer is formulated with three sizes of hyaluronic acid to effectively target various skin concerns. It visibly plumps and hydrates while reducing the appearance of three different types of wrinkles: crow’s feet, fine lines, and deep wrinkles. The lightweight texture absorbs instantly to create a smooth complexion, improve the look of skin firmness and elasticity, and prep skin for a more flawless makeup application. Additionally, it can be added to your favorite foundation to avoid that “cakey” look nobody wants to see.